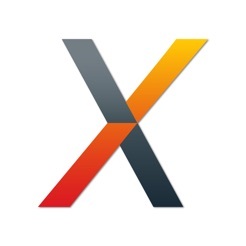 Cross Body Trainer by Nexersys is an interactive fitness product that delivers an EFFECTIVE and FUN workout utilizing boxing and martial arts movements and High Intensity Interval Training (HIIT) techniques. The Cross Body Trainer App connects via Bluetooth Low Energy to the Cross Body Trainer equipment. The Cross Body Trainer equipment includes a frame with a double end bag. Within the double end bag there is a wireless accelerometer that communicates strike data to the Cross Body Trainer App. 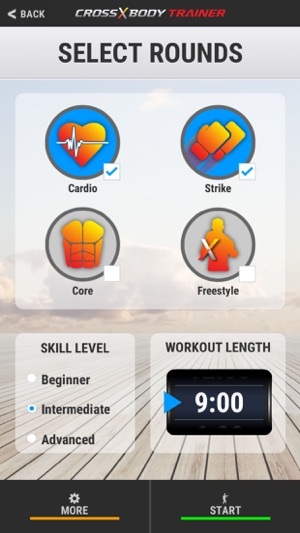 The app delivers a full-body workout including Cardio, Core, Strike and Freestyle rounds. Cross Body Trainer is a striking-based game experience that requires physical and mental acuity. People love to strike! It delivers the most effective workout and continually increases in popularity regardless of age or gender. Cross Body Trainer is fitness made fun! We've turned working out into a rhythm-style game to get people excited about working out. Receive awards for working out and having fun while doing so! Unlike most fitness products, Cross Body Trainer delivers mental acuity along with physical wellness. Get smarter while getting fit! This will get 5 stars when I can consistently do full workouts without the Bluetooth disconnecting. The update was supposed to fix that, but I still have to frequently stop mid-workout to reconnect the Bluetooth. At the very least, at least let us try to reconnect while it's paused. Don't make us quit the workout to try to fix your errors in technology! Sometimes, the Bluetooth just flat out won't work, and it's not because of the batteries. That's like having a game system where the controller "sometimes works." Fun, challenging, and engaging ! This is a great app to use with the crossbody trainer system. It has different levels of work out intensity, plus many variations of routines. Don’t let a double end bag make you think your not getting a great workout. Keeps me coming back and the kids like the interaction, and it keeps them motivated to exercise. This is a must have app if you have the crosstrainer , but even without the sensor hooked up, it makes a great double end bag work out.